Park Hoon-jung gave us the screenplay for the modern-day classic “I Saw The Devil”, “The Unjust” and directed the brilliant “New World” and “The Tiger: An Old Hunter’s Tale”. After last year’s controversial serial-killer thriller “V.I.P.”, he is back with his latest directorial offering “The Witch: Part 1. The Subversion”. The film confusingly begins right in the middle of a bloody massacre in a Facility. Professor Baek, who clearly is in charge of it all, is overseeing a mass killing of children inside the Facility while Mr. Choi, the suave, scary Handler for the establishment is on the tail of two children, a boy and a girl, who have managed to escape amidst all the violence. While Mr. Choi and his henchmen manage to capture the boy, the girl flees and ends up at the farm of Mr. and Mrs. Koo, with no recollection of her name or age, who take her in and decide to raise her, after the death of their own son and grandchild in an accident. Ten years down the line, the girl, now called Koo Ja-yoon, has grown into a beautiful young girl. Having no recollection of her past life, she spends her life as any normal teenager would: borrowing her father’s truck without his knowledge, talking about boys with her best friend Myung-hee and using her charm to get favours and get out of trouble. She helps her father on their farm and cares for her mother, who suffers from Alzheimer’s. Money is tight, but when an opportunity to win $500,000 on a singing reality show comes up, she signs up and gains national coverage with her singing and a “magic trick”. This inevitably comes to the attention of the establishment that Professor Baek and Mr. Choi work for and they send a charming young man after her, who claims to know Ja-yoon quite well. Park Hoon-jung’s last film “V.I.P.” was, probably unfairly, heavily criticised for its treatment of women. It may not be coincidental then, that his very next film features his first-ever female protagonist. “The Witch: Part 1. The Subversion” has all the traits of a Park Hoon-jung screenplay and film. The characters are richly developed. Some may feel that the film takes too long for the action to start, but this is a story that has obviously been designed as a multi-film saga (a trilogy is rumoured) and Park takes his time to develop his characters until the final act of the film, which explodes in glorious violence. The action scenes and set-pieces are bloody, brutal and oh-so-exciting. Park waits to give us the twist in the tale and when it comes, it is fresh and unexpected. The only drawback, if one were nitpicking, would be the lack of a formidable foe that really challenges Koo Ja-yoon once her abilities fully manifest, a minor flaw that the second part can hopefully rectify. The film needed the right casting for the titular role and Kim Da-mi was chosen after auditioning 1,200 candidates. Without a shadow of doubt, she is a star-in-the-making! Her Ja-yoon is beautiful, charming, sympathetic, confused and even psychotic at times, her eyes conveying more than any words. She captures every trait of the character to near-perfection. Even if the eventual sequels never happen, the film works pretty well as a standalone, but it would be criminal to not let Kim return to this role yet again and see where else she can take it. Jo Min-soo is effectively menacing as Professor Baek, the de facto head of the Facility. Choi Woo-sik, who has mostly played the boy-next-door type characters so far, makes the most of the villainous role handed to him. His English, thanks to his Canadian upbringing, is impeccable. Theatre and K-Drama veteran Choi Jung-woo brings the experience as father-figure Mr. Koo. Go Min-si is a delight as the ever-supportive Myung-hee but Park Hee-soon, who is collaborating with Park Hoon-jung for the third time after “The Showdown” and “V.I.P.”, feels slightly wasted as Mr. Choi, the cool mysterious Handler, because there’s not a lot in the role for him to work with. One cannot talk about this film without talking about its brilliant action choreography, handled by martial arts directors Park Jung-ryul and Kim Jung-min. It’s novel, slick, highly stylised and exciting. When combined with the nicely-done CGI, the hand combats, knife and gun fights all look spectacular. Cinematographers Kim Young-ho and Lee Teo give the film a very neo-noir look, with every scene in the Facility done particularly well. The background score by Mowg, who is rewarded with a cameo as a judge in one of the reality show scenes, is wonderfully atmospheric. “The Witch: Part 1. 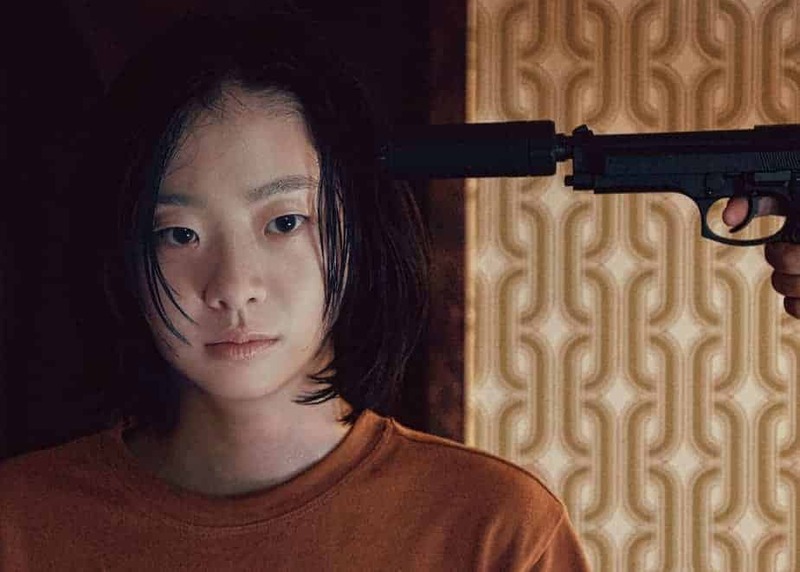 The Subversion” is a delightful mix of drama, action, superhero, revenge thriller elements that works due to its rich characters and fantastic action sequences, anchored by one of the finest female performances in recent mainstream South Korean films. Be sure to catch this one at the cinemas!